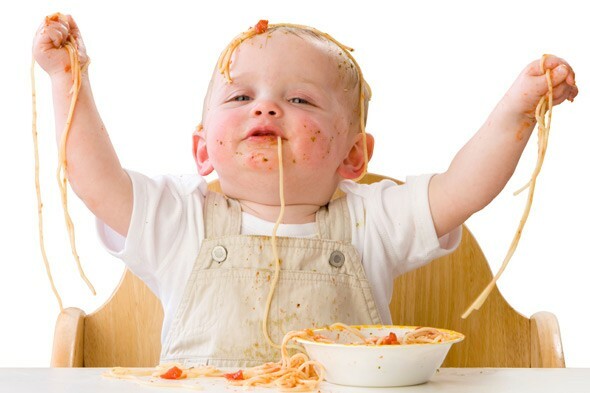 Parents’ most annoying reality: their messy toddlers! We all know, as parents, that children are indeed messy, disorganized and their favorite game is to destroy our house. Not all children are at the same level of messiness, of course, and that is consolation for the few ‘lucky’ mums and dads who own such rare models. 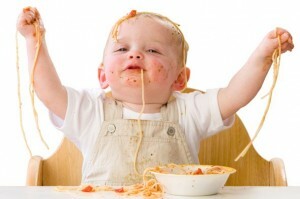 However, a new study comes to offer parents of messy toddlers and very young children a sign of relief. Apparently, toddlers who grasp, taste, feel, rip open and even throw objects – especially their food – are constantly gathering information about the world around them. Messy children are just better learners than neat ones! A team of psychologists, led by Dr Larissa Samuelson, of the University of Iowa, tested 72 16-months-old toddlers. The toddlers were presented with 14 non-solid objects, including chocolate sauce, strawberry jam and oatmeal and then tested on their ability to learn their made-up names. They we then told the name of each of the items which was just a made up word such as ‘dax’ or ‘kiv’. A minute or two later the toddlers were given the same objects in a different shape and asked to identify the objects again. ‘The setting matters, too, it seems. Children in a high chair were more apt to identify and name the food than those in other venues, such as seated at a table, the researchers found. Ladies, let your children explore the world, give yourself a break from stressful days of house mess and untidiness and consider that your lively messy toddler is just being busy learning his surroundings, filling his little brain with lots of useful information that will help him grow better and healthier. 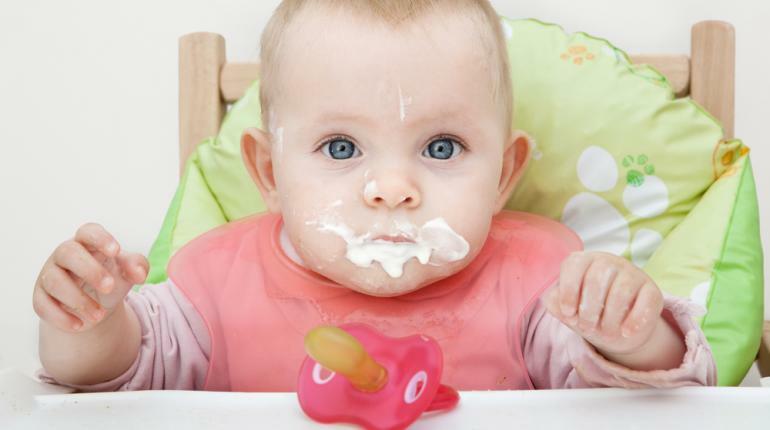 Messy high chairs are preferable, then, but a relaxed, happy, curious messy toddler is a must!